My name is Paul and I am quite simply a fitness junkie. As a child growing up I was always "the fat kid". I was constantly looked down upon and had numerous nicknames such as 'Porky' and 'wide load'. One day I decided to make a change- and to combat these jibes I decided to get fit. This aided my main passion, rugby. I was now able to run around the pitch and make a difference. This fitness phase lasted until around about the time I discovered alcohol, and university. I would still play rugby twice a week, but whilst at university I found it much more convenient to visit the kebab shop over the road rather than cook my own meals. This led to me being fit but fat, a phase that lasted (on and off) for a few years. April 2012 I was weighing in at 17.5 stone and I knew I had to change it, so I lost a stone for the beginning of the new rugby season, however this wasn't enough and that September my rugby coach asked me to loose another stone as he felt I was carrying too much extra baggage. Which leads to today I weigh constantly around the 100kg mark and have a bf% of around 12%. However, my journey is not over- and it never will be. 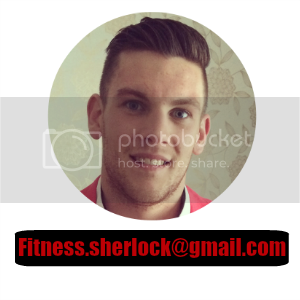 The aim of this blog isn't for you to join me on my journey- it is to allow you to start your own, explore new horizons and to become the best version of you that you can. I am happy to accept products to review as long as they fit in with the content of my blog. Any products will be reviewed honestly and will also be labeled with a * in the title.